Enhance productivity and enrich collaboration with the ultimate, all-in-one, one-touch desktop UC solution designed specifically for executives, managers and knowledge workers. 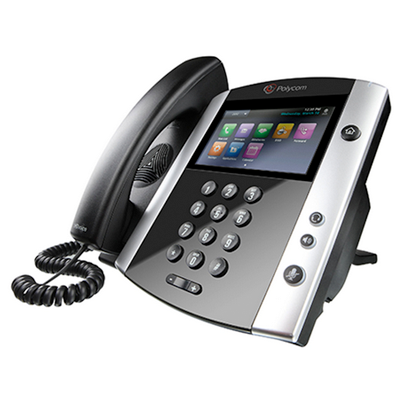 The VVX 600 series business media phone delivers a best-in-class personal communications experience with an extensive list of easy-to-use features that complement the way you work. The VVX 600 series is simple for administrators to deploy, maintain and upgrade while seamlessly integrating with third-party productivity applications.